Holiday party season is officially upon us, friends, and we’re not complaining. Who doesn’t love countless replays of Mariah Carey’s greatest Christmas hits? While holiday season is undoubtedly the best time of year, it’s also the busiest. During this period, you’ve got the following: Christmas! Hanukkah! Kwanzaa! Shopping for gifts! Prepping elaborate meals! And then you’ve got office parties, family gatherings, and get-togethers with friends you rarely see anymore due to your schedules. Plus, don’t forget about New Year’s Eve, when you experience the inevitable existential peril that accompanies not following through on resolutions set approximately one year ago. 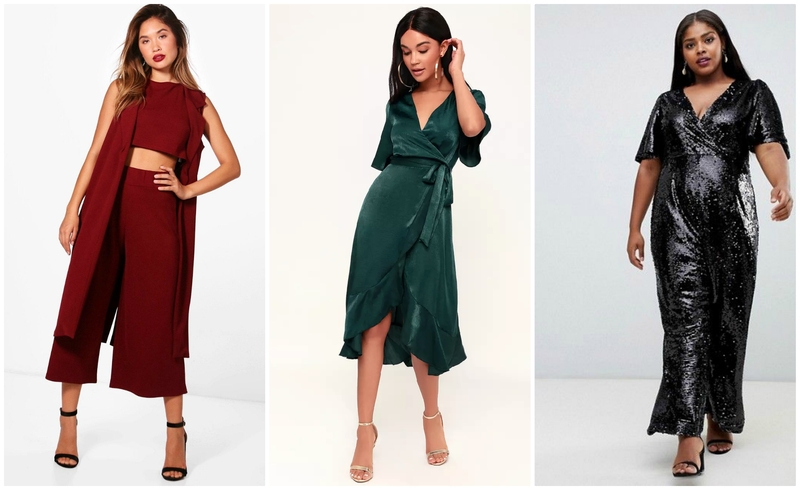 In anticipation of all these social gatherings, we’ve compiled the ultimate shopping guide for holiday party outfits. 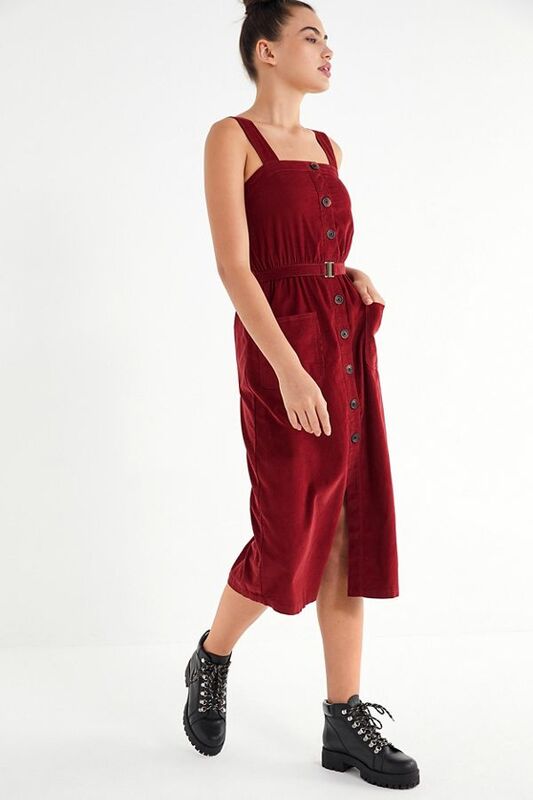 We’re talking timeless classics that can be re-worn again and again, to literally any social event on your calendar this season—because let’s be real, the guest lists for all those holiday events don’t all overlap, so you really just need one lewk for the season. Shop these chic (and comfortable enough to overeat in) outfits for your upcoming holiday festivities. A satin green stunner that won’t restrict your baked ham and pie belly. A classic black jumpsuit to wear while you enjoy some delicious apple cider. A velvet gold stunner to match the star on top of the Christmas tree. A comfortable turtleneck dress to don as you pass the green bean casserole. A stunning red lace-up that will make you look like a holiday gift. A purple velvet ensemble for a spirited round of White Elephant. A glamorous yet understated rhinestone frock to outshine the string lights. A classic plaid mini dress that resembles your favorite holiday pajamas. 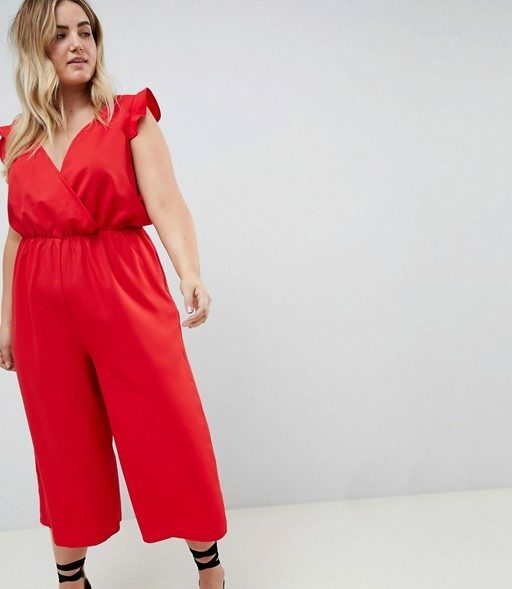 A cute red jumpsuit for the next Secret Santa exchange. 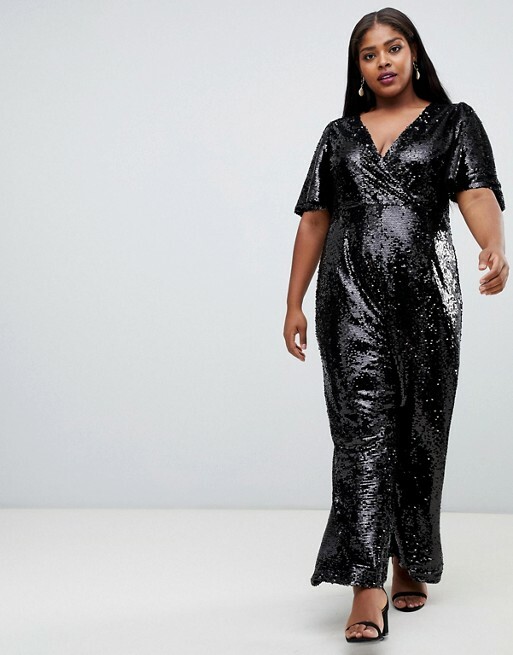 A sparkly sequin jumpsuit that puts all ornaments to shame. 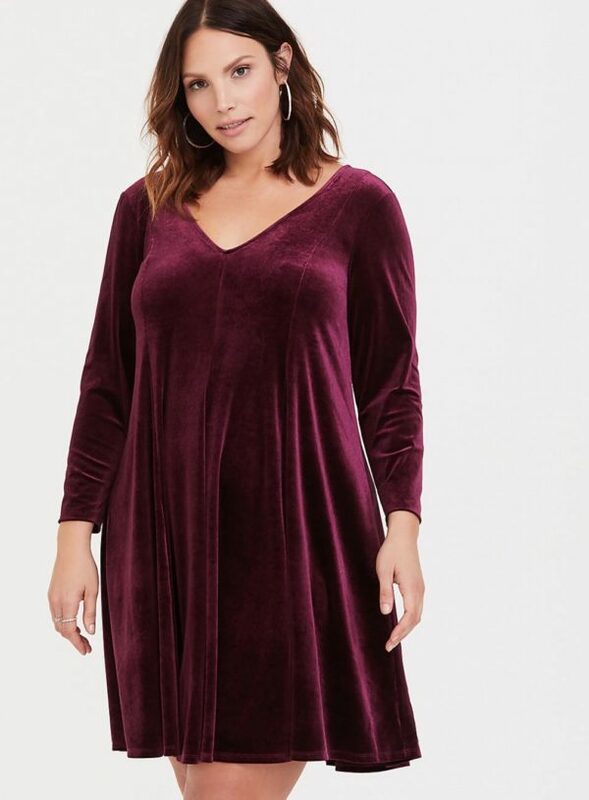 A corduroy midi dress to accomodate ALL the baked goods. 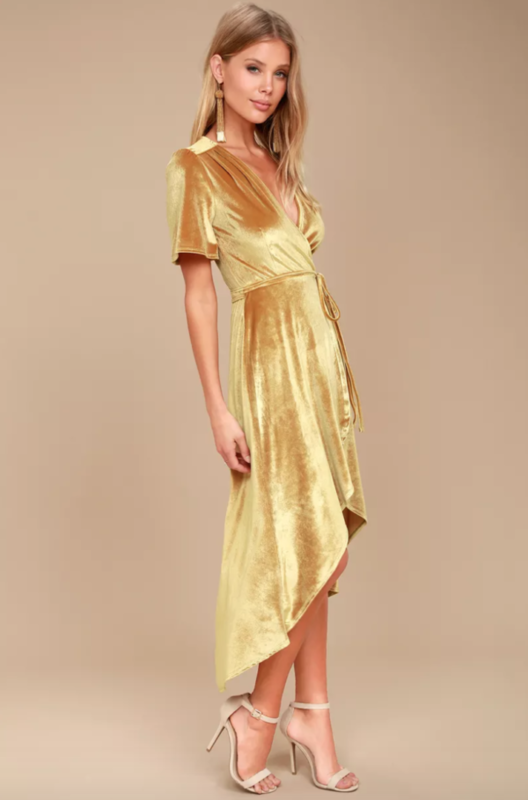 A luxe gold slip dress that requires minimal effort. 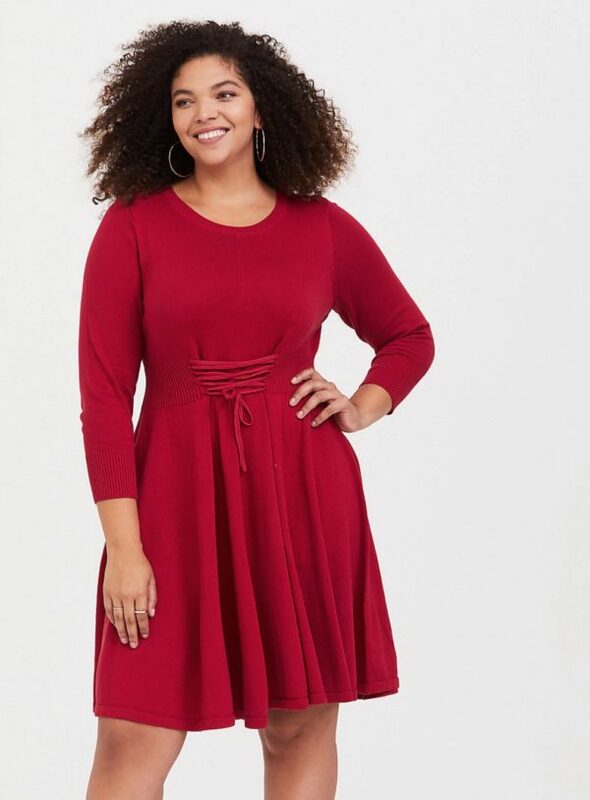 A classic burgundy bodycon for off-key caroling. A lace floral beauty for time well spent with loved ones.